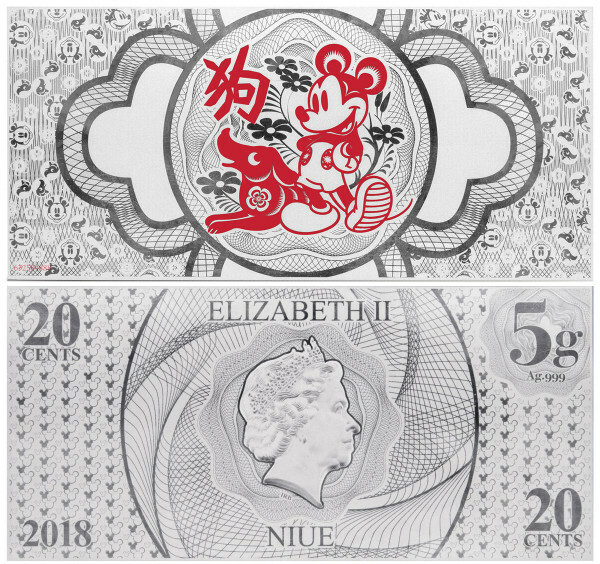 This Disney Lunar 2018 20c Niue Year of the Dog Silver Foil Note was made for avid fans of all things Disney. 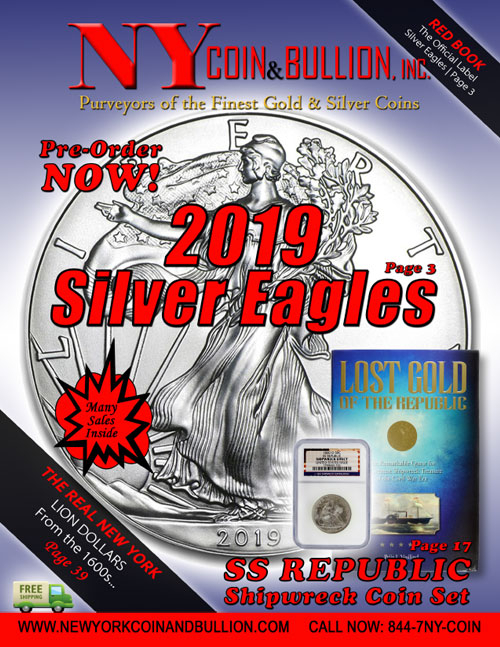 Manufactured at the New Zealand Mint from .999 fine silver there are just 50,000 pieces are in this issue, providing a high level of scarcity relative to the popularity of Disney and lunar silver. 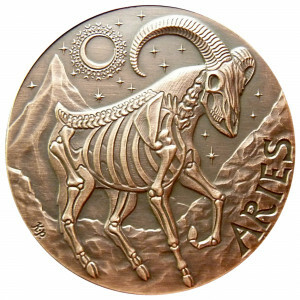 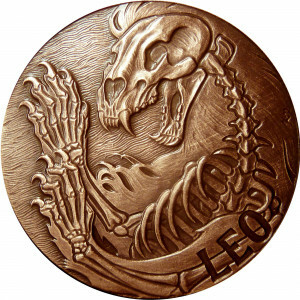 - Disney Lunar "Year of the Dog Early Releases"
- Obverse is the reigning British monarch, Queen Elizabeth II, in a portrait by Ian Rank-Broadley. 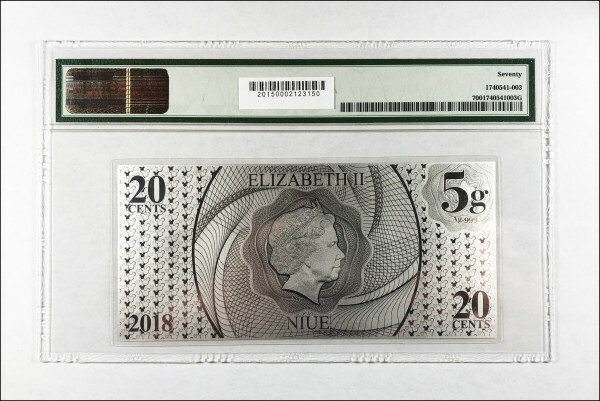 Her name, "ELIZABETH II," and "NIUE" are inscribed above and below her effigy, respectively. 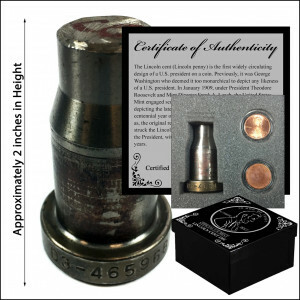 The note's face value is inscribed in two corners, while its date and weight are provided in the other two. 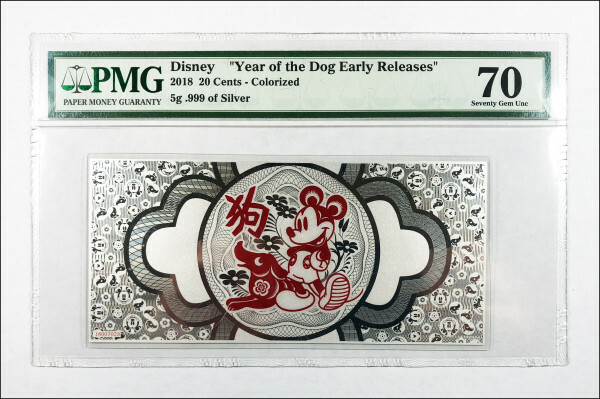 - Reverse shows Mickey Mouse standing next to a dog, both in red, just like the Chinese character for "dog," which is above the animal's head.